Dr. Looper has been a board certified radiation oncologist since 2004. She is a Louisiana native but enjoys living in the Midwest. She is a graduate of Texas A&M University with a Bachelor’s degree in Biomedical Science in 1993. She received her DVM from Louisiana State University in 1997 and then completed an internship at the University of Florida in 1998. Dr. Looper spent four years in general veterinary practice in Denver before going on to specialize in radiation oncology. She received her board certification after completing a residency at North Carolina State University in 2004. Dr. Looper has been practicing in the Chicago area since 2004. She has published several peer reviewed journal articles and is an adjunct clinical assistant professor at the University of Illinois, where she helps educate medical oncologists and provides treatment planning assistance for radiation therapy patients. She also has successfully trained a radiation oncology resident and has participated in the training of dozens of interns over the last several years. Dr. Looper strongly believes the most important part of her job is providing outstanding patient care and helping to maximize the quality of life of all her patients. 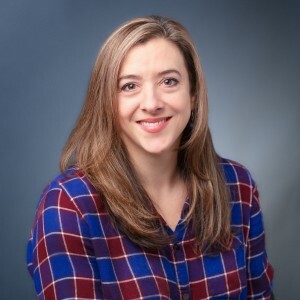 Dr. Jaclyn Smith is a graduate of The Ohio State University with a Bachelors Degree in Medical Dietetics in 2003 and Doctor of Veterinary Medicine in 2008. She completed a one-year medical and surgical internship in Northbrook, IL and a one-year specialty oncology internship in Sandy Springs, GA. Dr. Smith completed a 3-year medical oncology residency at The Veterinary Cancer Center in Norwalk, CT prior to joining the staff of the Chicago Veterinary Cancer Center.